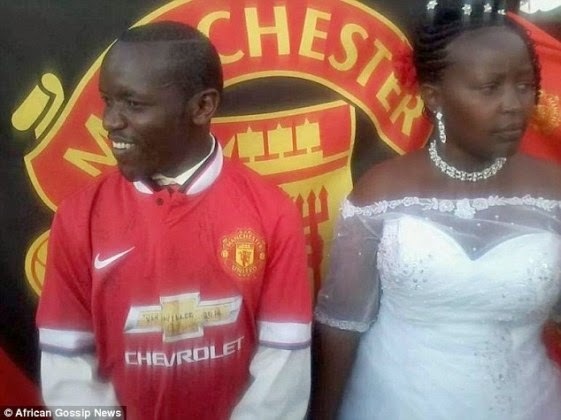 A Kenyan couple decided to theme their wedding around Manchester United, with everything from their clothes to the wedding cake featuring the club's branding. 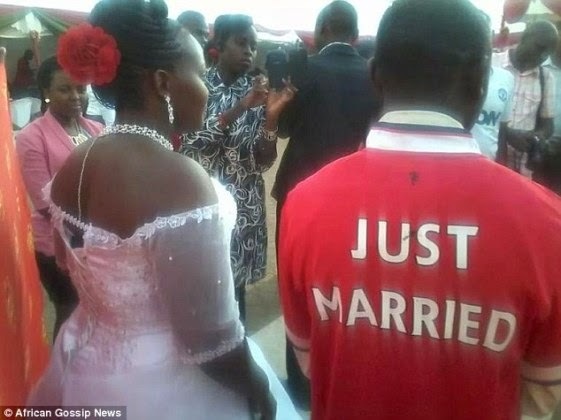 The groom had 'just married' printed on the back of his kit. 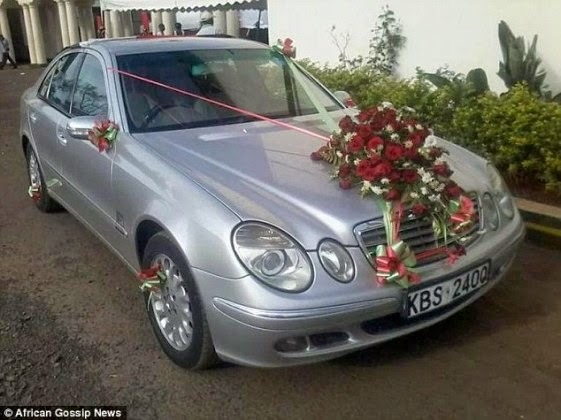 The wedding car is also decorated with red and white flowers. 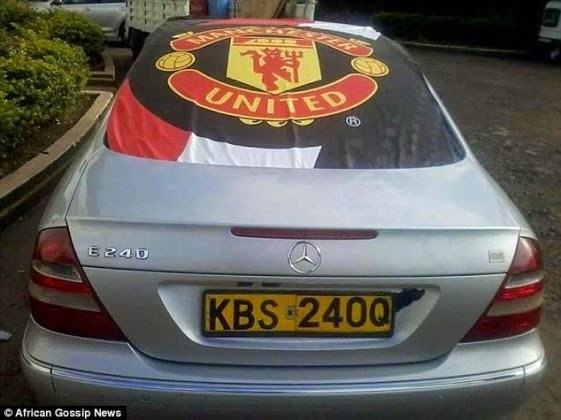 There is also a large United flag draped over the rear window. 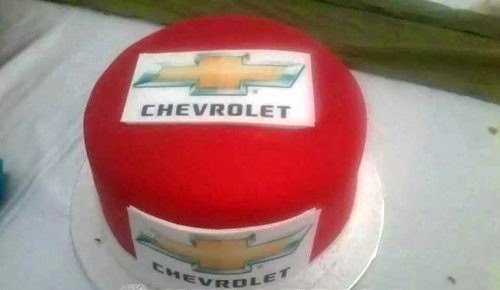 The cake is decorated with red icing plus several Chevrolet logos in a nod to the club's home kit for the 2013-14 season.